Remember the first time you heard whatever band it was that made it click? The riff that made you drop whatever you were into and pick up a guitar? Remember the music that had The Wow Factor? For me, being born in 1970, my early childhood was steeped in bands that seemed to have that type of impact. At least on me. As a small boy I would pray daily to the stacks. You see, my father and my stepfather at the time both had those classic 70's component stereos with racks of electronics that did who-knows-what and giant speaker cabinets in all four corners of the living room. And next to racks of equipment were the stacks. The albums. Not really stacked actually because they were poker chipped against the wall on the floor. Three rows. Like a triple lane highway of rock n' roll exploration. It was there a midst those pulsing speaker cabinets that I would sit in rapture and gaze at the album covers while Led Zeppelin, Aerosmith, Grand Funk Railroad, Heart, ZZ Top, Clapton, Jeff Beck, Van Halen, Ted Nugent and so many others came out of the speakers to meet me and show me the way. Oh yeah, lets not leave out The Hottest Band In The World....!! One thing all those bands did so many years ago was set a standard. They set a bar in place that few bands, in my opinion, seldom reach. Sure, I've gone through different music phases as the decades have come and gone; but I always come back to ground zero. Back to the classic sounds of my childhood. Back to music that still retains that Wow Factor. Nowadays, when I'm not working, wiping butts, or putting out small fires, you may find me at the computer listening to my musical cornerstones or searching for something to move me. 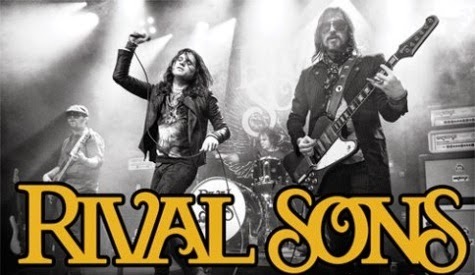 I was completely moved about a month ago when I discovered Rival Sons. Instant Wow Factor. My first thought was How Have I Missed This?? As I dug into their catalog I was transported back to that living room floor in front of the stacks once again. The sounds and textures this band creates while fusing rock and blues styles that are decades old is incredible. 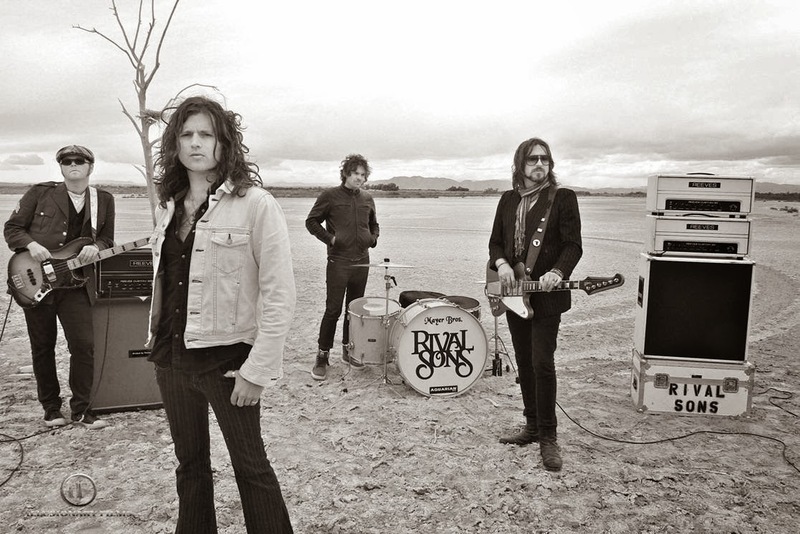 Hailing from Long Beach, California; Rival Sons formed in 2009. Their debut album "Before The Fire" was released that same year. The follow-up "Pressure And Time" in 2011 and "Head Down" was released in 2012. The forthcoming "Great Western Valkyrie" is due in June of this year. If Steven Tyler, Jim Morrison, and Michael Hutchence could've contributed DNA to collectively father a child with Janis Joplin, you might get Rival Sons frontman Jay Buchanan. A blues singer by trade, he can also wail like a rock god, break a story down rockabilly style, or wax psychedelic with incredible control of his craft. Guitarist Scott Holliday is certainly the wheel in the middle of the wheel for this band. His ability to create rhythmic fabric and texture would make The Edge call for backup on his best day, all the while channeling the guitar gods of days gone by. Thunderous rock riffs and lamenting blues leads all wrapped in wah wah, fuzz, and delay. Drummer Mike Miley and current bassist David Beste bring up the bottom end famously, laying down rock solid bass lines and booming back beats. Original bass player Robin Everhart departed last year. Getting the heaviest rotation for me at this point is their 2012 release " Head Down". This album masterfully takes the listener on a trip through the 50's, 60's and 70's. It opens with 'Keep On Swingin', which contains a heavy riff and soulful vocal. The video for this song gained some notoriety. It shows the band playing in an old fashioned Pentecostal church service, with the preacher and frontman Jay Buchanan both handling snakes. I found the video entertaining, as I have past experience with churches like this. Snake-free of course. 'Wild Animal' is next with a cool groove and breathy vocals giving a nod to The Zombies and Blue Oyster Cult. 'You Want To' is a tight rocker showcasing Jay Buchanan's vocal chops. 'Until The Sun Comes' has a catchy surf rock guitar lick and infectious chorus. 'Run From Revelation' is raw, powerful blues. One of my favorite songs on the album. The album slows down next with 'Jordan', a moving reflection of a lost loved one. Beautiful song. 'All The Way' picks up the pace in the vain of 'Some Kind Of Wonderful' by Grand Funk Railroad. 'The Heist' tells the story of a desperate man on a mission the style of The Doors. 'Three Fingers' is a sizzling hard rocker followed by a short acoustic piece 'Nava'. Lyrics about the tragedy of Native Americans with a little prog and psychadelia make up the slow tempo rocker 'Manifest Destiny Pt. 1'. Revenge is achieved in 'Manifest Destiny Pt. 2'. The album closes on a quiet note with 'True', a singer songwriter style song with shades of Simon And Garfunkel. From start to finish, an undeniable piece of work. 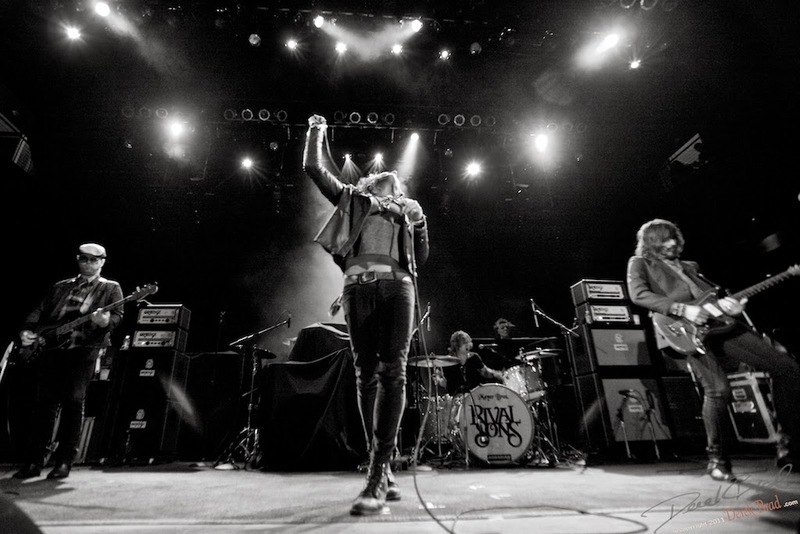 Critics have asked "will Rival Sons save rock n' roll?" Can any one band do that? Probably not. But they certainly reign supreme as rock revivalists. And for me, they gave me back the Wow Factor.